The captain of a doomed Ethiopian Airlines flight did not get a chance to practice on his airline's new simulator for the Boeing 737 Max 8 before he died in a crash with 157 others, a pilot colleague said. 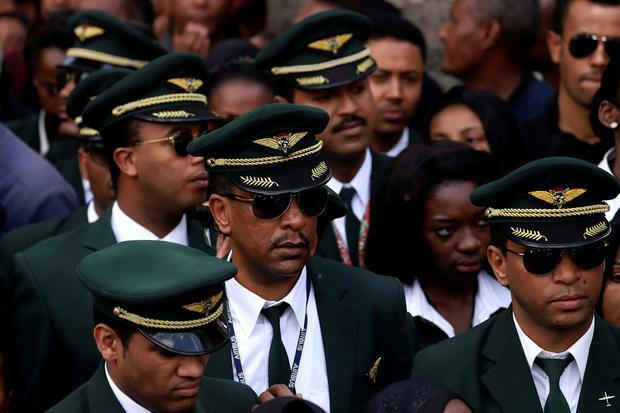 Captain Yared Getachew (29) was due for refresher training at the end of March, his colleague said, two months after Ethiopian Airlines had received one of the first such simulators being distributed. The Max, which came into service two years ago, has a new automated system called MCAS (Manoeuvring Characteristics Augmentation System). It is meant to prevent loss of lift which can cause an aerodynamic stall sending the plane downwards in an uncontrolled way. "Boeing did not send manuals on MCAS," the Ethiopian Airlines pilot told Reuters, declining to give his name. The world's largest planemaker has said airlines were given guidance on how to respond to the activation of MCAS software. It is also promising a swift update. "I think that the differences between the 737 NG and the Max were underplayed by Boeing," said John Cox, an aviation safety consultant. "Consequently the simulator manufacturers were not pushing it either. The operators didn't realise the magnitude of the differences." Ethiopian Airlines said its pilots had completed training recommended by Boeing.